Landing an industry award has the potential to boost your career to the next level. Unfortunately, when you are part of a minority group, you may find yourself competing for nominations in a limited amount of categories. The same holds true for bloggers, who without comprehensive minority blog awards, often struggle to get the recognition they deserve. For many Black bloggers, winning an industry award that recognizes the best Black blogs has an even deeper significance. 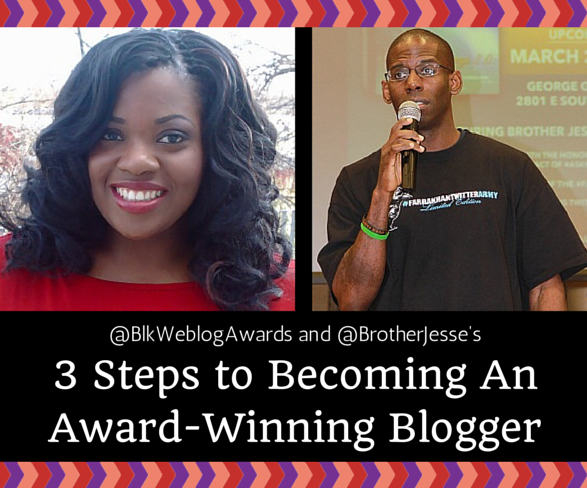 “Those awards opened doors for me in terms of guest blogging for other major sites, being invited to keynote social media events and has expanded the reach of my blog,” says African-American blogger Jesse Muhammad (@brotherjesse). Muhammad has been blogging for more than seven years and says the Black Weblog Awards have inspired him to be a better blogger and serve his readers. It’s also connected him with fellow Black bloggers. His blog jessemuhammad.blogs.finalcall.com has received multiple nominations over the years, including Blog of the Year, Best Personal Blog, and Best Microblog. This year, he won Best Twitter Feed. According to Gina McCauley (@blkweblogawards), who organizes the Black Weblog Awards, new categories were added this year to recognize excellence in all of the popular social media platforms: Facebook, Twitter, Instagram, Pinterest, and Tumblr. Nonetheless, she explains the Black Weblog Awards always will be blog-centric because it’s important African-Americans own and control their own platforms. “As awesome and influential as some of the free services are, we don’t own them, but they are an important part of the social media communities we’ve built,” she says.